Florida's Gulf Coast is home to scores of remote barrier islands from the Panhandle all the way down the west coast to Naples, Marco Island, the Ten Thousand Islands, and the Florida Keys down to Key West, and many are still only accessible by boat. Though two of the more popular islands of Sanibel and Captiva have grown in recent years, they still have a wild and natural feel to them and a slower pace of life that make them the perfect getaway. They're two of my favorite places since I fell in love with them decades ago. You'll catch yourself exhaling a little bit as you drive the long, narrow causeway over from the City of Fort Myers - the only way on- and off-island as the locals like to say - and the pelicans fly alongside your car at eye level. And while you may barely notice it when you're driving around, Sanibel and Captiva are two distinct islands separated by a short little bridge at Blind Pass. If it sounds like I'm describing Small Town America, that's good. Because I am. It's just that this Small Town is at the beach... and one of the most gorgeous beaches in the world at that. Something's different here. The light is different. The air smells different. It'll take hold of you when you're here, and never let go. 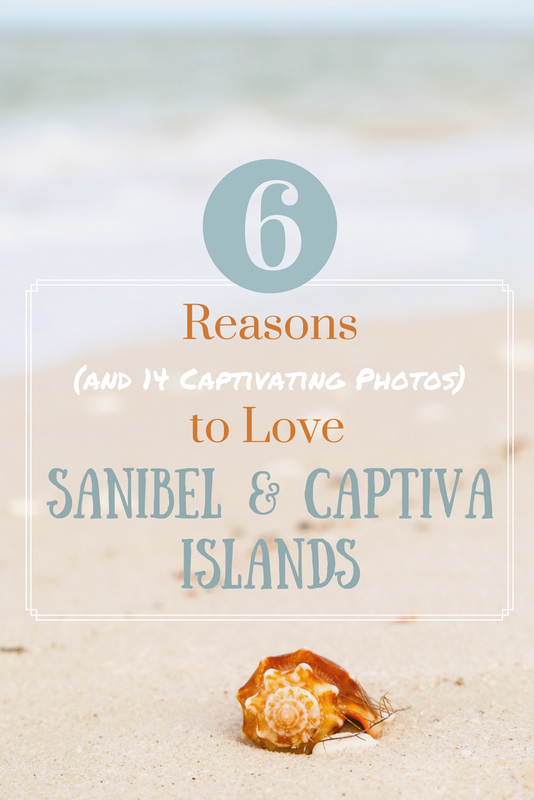 Here are 6 reasons to visit Sanibel and Captiva Islands, but we’re certain you’ll find more! The first thing you'll love about Sanibel and Captiva is the peace and quiet. You don't come here for amusements or nightlife (okay, except for sipping a Cosmo-politan on the beach). Shopping here isn't like shopping in Naples, Florida, and that's OK. That's not to say the community is without world-class amenities like golfing, dining, or the Arts. They're here in a big way along with tremendously wealthy residents. But you won't see it. The flashiest thing to do here is put on your finest sundress or shorts and head to a local hotspot like the Island Cow or Gramma Dot's for brunch. It's about slowing down here, reconnecting with your kids, friends, and yourself. The Sanibel Island beaches and those on Captiva are concession-free and uncrowded, like many along the southwest Florida coast from Sanibel to Naples. Even at the height of "the season" November through March, you'll still find your very own spot at the beach to call your own. People come to Sanibel and Captiva to make their own fun, whether that means Happy Hour with friends, getting in or on the water, beaching it with a good book, or celebrating sunset (applause, applause). Now's the time to hunt for shells and sea life, watch birds, or get out on the water in a boat, kayak or paddleboard and discover it for yourself. Sanibel and Captiva islands teem with wildlife. Their beaches and marshes are home to numerous species of wading and shore birds like snowy egrets, plovers, sandpipers, ibis, roseate spoonbills, great blue herons, and many others. A trip to the J.N. "Ding" Darling Wildlife Preserve on the north part of Sanibel island is a pristine estuary and wetland environment and one of the most popular things to do in Sanibel Island for nature lovers. Paddling through the mangroves and tidal waters here allows you to commune with the natural world with every stroke of your paddle. Like many barrier islands, the storms that sweep across southwest Florida are wicked and wonderful at the same time, especially in the summer. When the humidity of the Everglades meets the warm Gulf of Mexico, sparks fly, resulting in intense and often severe electrical storms. The Atlantic hurricane season from June through November can pack a punch to Florida coastlines though southwest Florida typically doesn't take a direct hit. After a storm however, is when you'll find some of the best shelling of all. Talk about a silver lining! What can I say about the shelling on Sanibel and Captiva that hasn't already been said? Captiva and Sanibel Island shells are little gifts from the sea that wash ashore by the bucket full. Until you see it for yourself, you won't believe it. And then suddenly, you're a kid again with your pail and shovel, searching for that next wave to bring in your prize. Click through to find the best shelling beach on Sanibel Island. TIP: Go out scouring the beach early in the morning or right after storms. The shelling is always better then! SPOILER ALERT: There's something about the unrivaled sunsets of Southwest Florida, and I'll tell you what it is but you may not believe me..... it's the clouds! The average, everyday sunsets off the coast of Sanibel and Captiva are stunning on their own, but add a dash of cloudy weather - especially during summer and Hurricane season - and you've got something extraordinary. Truly among the most beautiful sunsets in the world! I recommend you find yourself a great little beach bar on the island and celebrate the day. Cheers to that, my friends! We've loved coming to Sanibel and Captiva since our kids were younger. Our daughter chose to get married here several years ago, and it was also the first time our youngest grandson had ever been to the ocean. I can't wait to have our next family reunion here in this special, timeless place. Where to Stay on Sanibel and Captiva? We love the South Seas Island Resort on Captiva for its variety of accommodations, particularly for weddings or family events. From studios to 1, 2, or 3BR suites, and even larger homes for extended family. The property is private and quiet, as it's located at the northernmost tip of Captiva (click pic at right). Check the latest rates and details. Sundial Beach Resort and Spa, Sanibel - A fun and affordable family destination right on the beach, with lots of activities for the kids, or none at all for you :-) Find the best rates and details. The Sanibel Inn, Sanibel - The Inns of Sanibel own a number of nice places on the island, and the Sanibel Inn is especially nice with a laid-back family atmosphere right on the beach. One of the best hotels in Sanibel Island. Check the latest prices and more details. The islands of Sanibel and Captiva are perfect for family or romantic getaways. To plan your trip, stop in the Sanibel Captiva Chamber of Commerce, located in the colorfully painted building on the right as soon as you cross over the Sanibel Causeway! Or visit the local tourism website for more info! 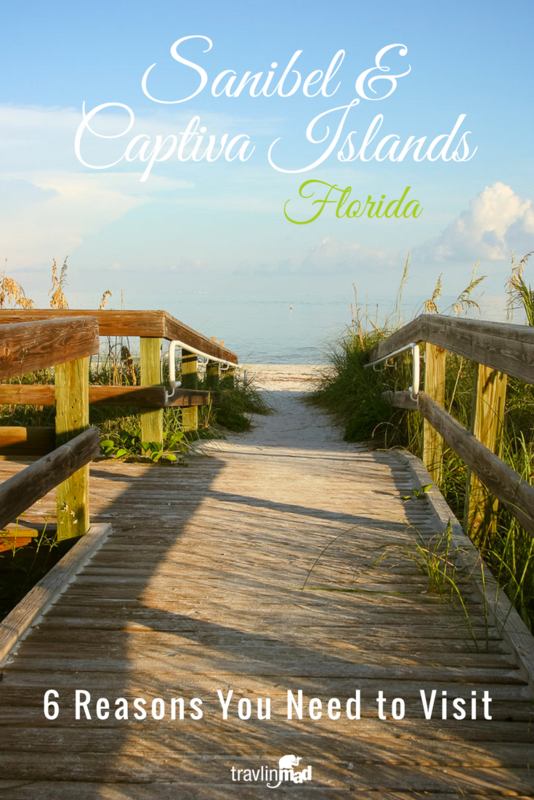 Have you been to Southwest Florida yet?